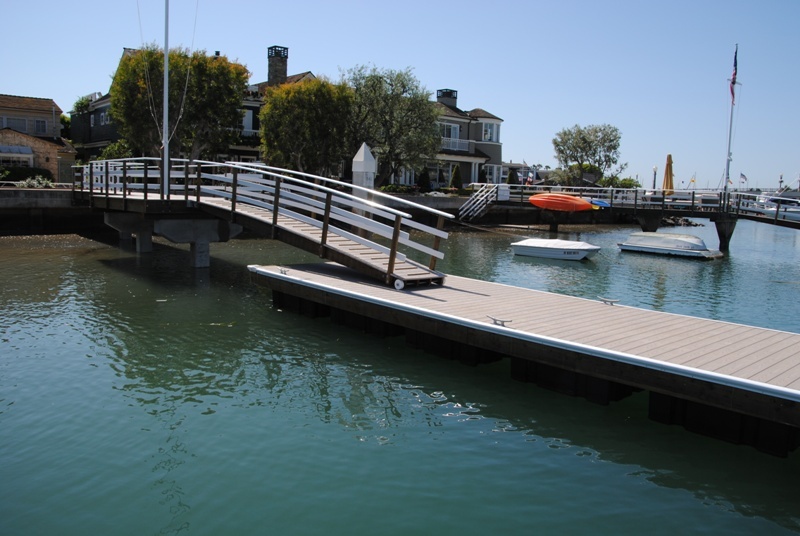 This residential dock is a two slip complex with three fingers, featured with AZEK composite decking and pre-stressed concrete pilings. Also included is a stainless steel kayak rack and stainless steel cable midrails. The design of this complex is unique with the small pier and off set gangway. 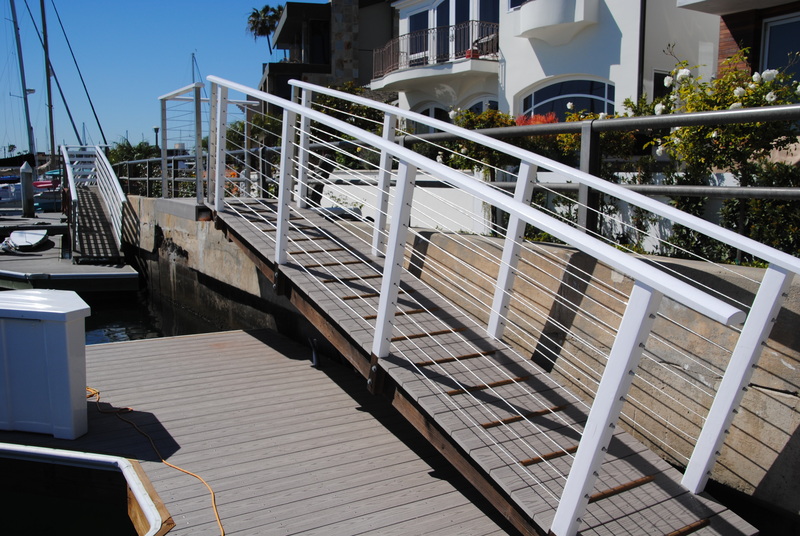 This dock has a unique steel gangway landing with stainless steel cable railings. 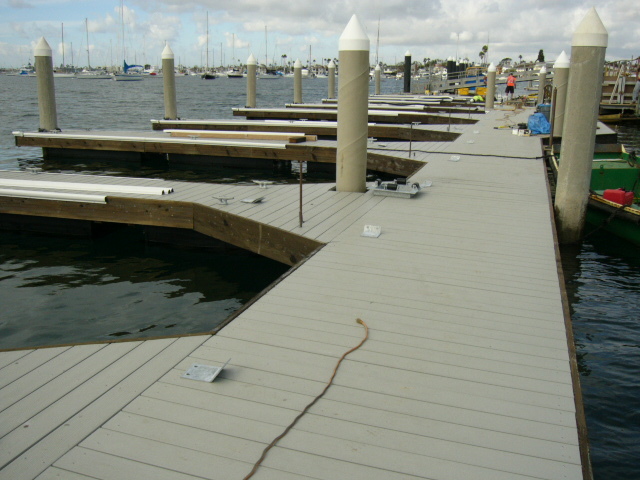 Also included is a dock box and AZEK composite decking. 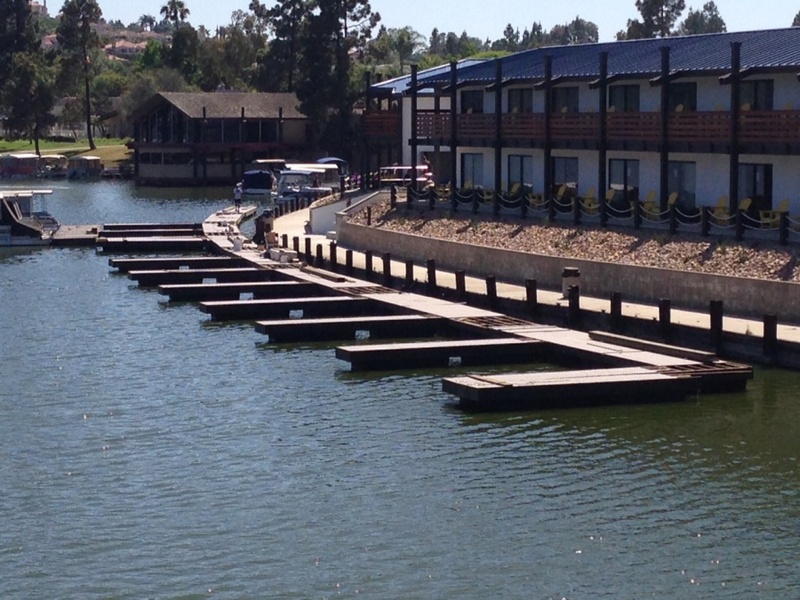 This residential dock has a utility stand and light plug towers. We also re-decked the cantilever deck of the home. 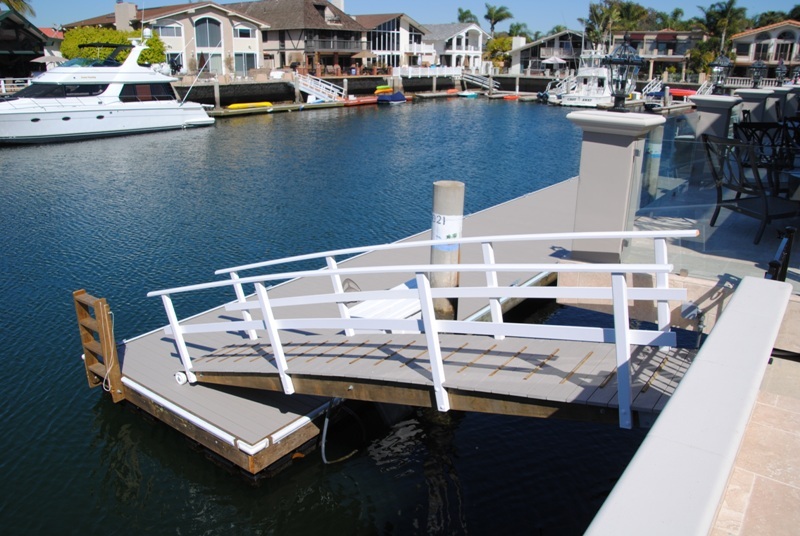 This floating dock complex has accessories including a swim ladder and dock box. Also included are gangway traction strips. 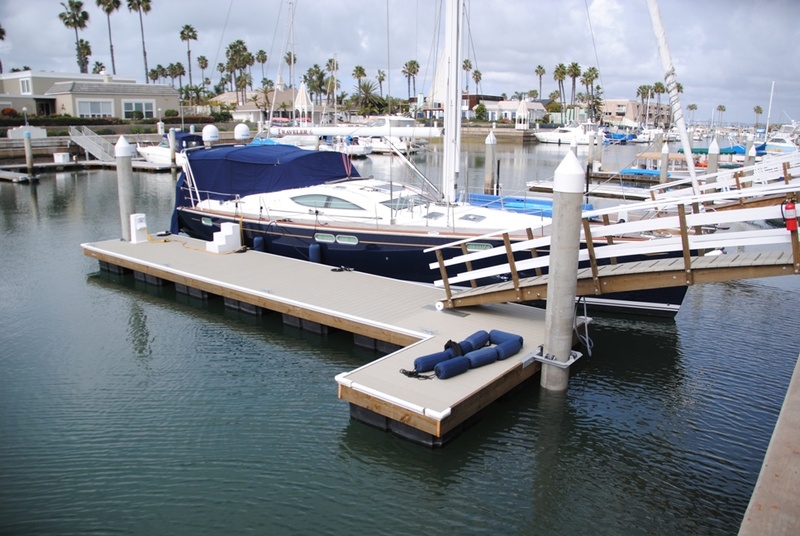 This floating dock includes concrete T pilings with the existing guide pile. Also featured is the flag pole Swift Slip installed! 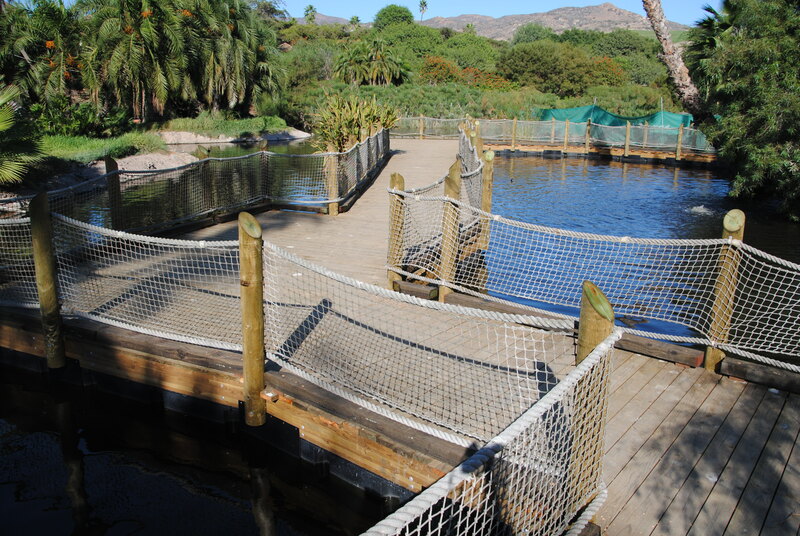 This is a floating dock in the San Diego Zoo Safari Park. It is part of the path for the walking safari, specifically in the flamingo exhibit. Visit the news story HERE! 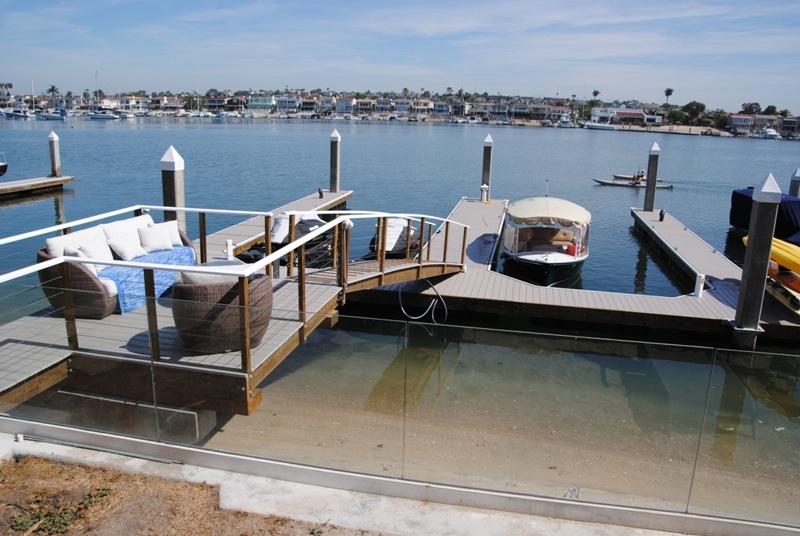 This dock in Coronado contains superfloat flotation pontoons filled with Styrofoam. 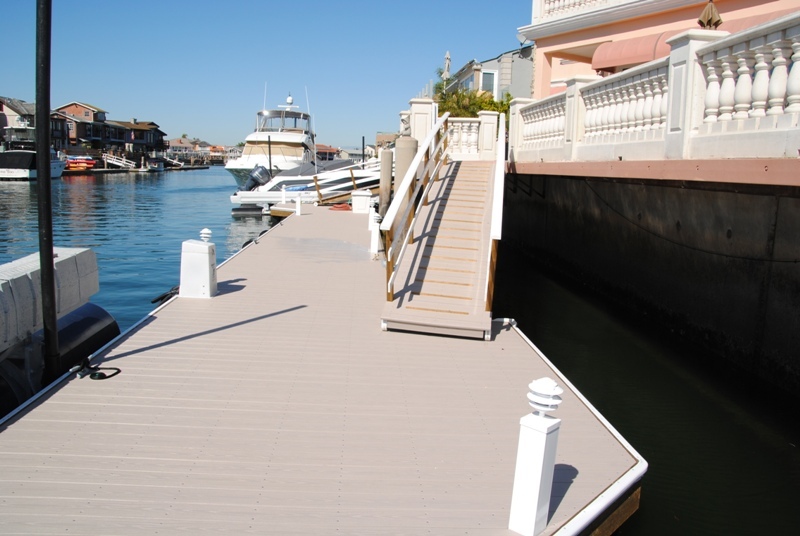 The decking is winchester gray Trex decking attached with stainless steel screws. 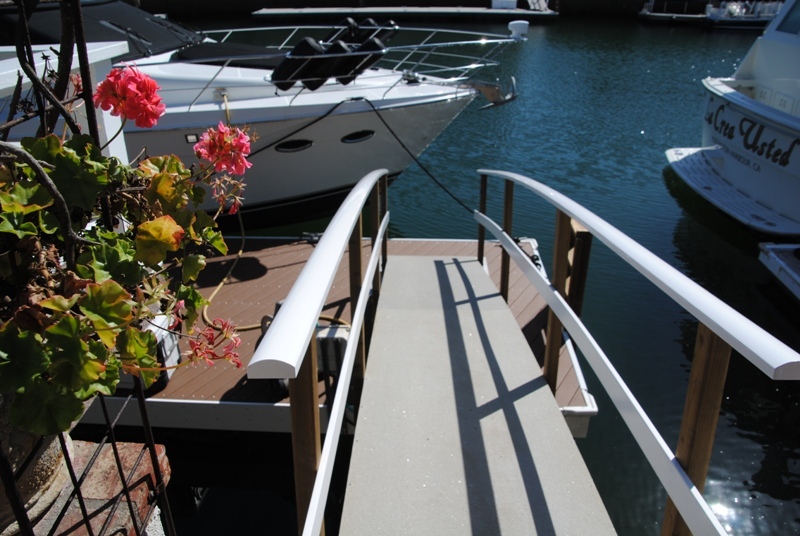 The gangway consists of vinyl handrail & double side rails and heavy duty hinge axle and wheel combination.